Bockbier is to be consumed with extreme caution as it’s still brewed in its original approach – as a source of nourishment rather than indulgence. Photo by Molly Hayden, USAG Bavaria Public Affairs. MUNICH — While I can’t pinpoint the origin of this story, it’s not going to stop me from telling it. And, according to numerous tourism sites and “legend,” it’s true. Promise. The story goes something like this: In the early 16th century, Paulaner monks of the Neudeck ob der Au monastery outside of Munich began brewing a strong, dark beer in order to compensate for the greatly reduced intake of food during the Lenten fast. 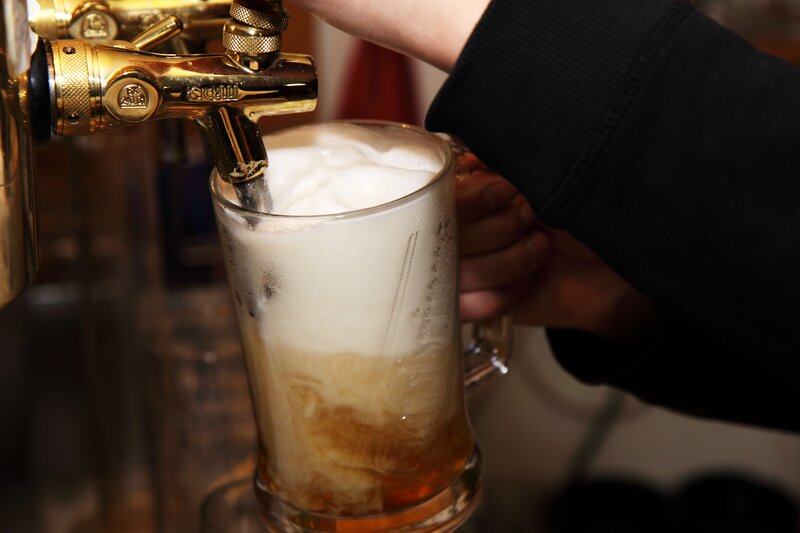 The beer was known as bockbier: a rich, complex, malty, low-hop style of lager. The monks were technically only supposed to consume water during Lent, so when the Pope heard of this strong brew, he ordered a sample to be transported to Rome for a taste. During the long journey over the Alps and under the hot Italian sun, the beer spoiled. Tasting the spoiled ale, the Pope decreed the beer as punishment for the Bavarian monks to drink during Lent. Five centuries later, Germans remain the frontrunners in production of the robust brew — in a nonspoiled version, of course. Regardless of how you drink it, the beer is to be consumed with extreme caution as it’s still brewed in its original approach – as a source of nourishment rather than indulgence. Bock beer can range in alcohol content from roughly 6.3 to about 12 percent. By comparison, mass-brewed light beer is typically 3.5 to 4.5 percent, so even the lightest bocks should be handled with care. Bock beer is justly referred to as “liquid bread,” and between Ash Wednesday and Easter every year, villages across Bavaria invite residents to embark on this longstanding tradition do what the monks did and drink their dinners at local breweries and bockbier fests. While the dark brew is the main course, music, dancing, and that traditional Bavarian charm are served in heavy doses on the side. Starkbierzeit is German for “strong beer festival,” an event held every March in Munich. Check it out in our German Events calendar.